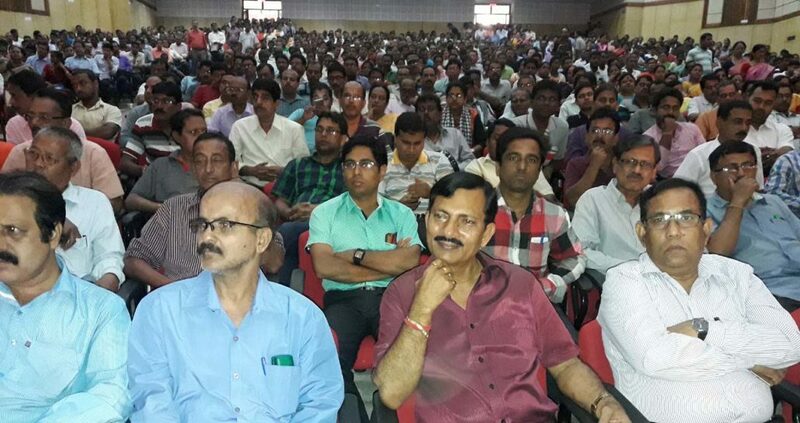 A view of the TRKS conference at Dharmanagar. 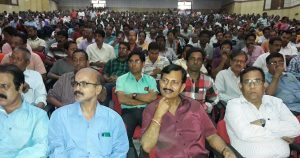 The first district level employees’ conference of the Tripura Rajya Karmachari Sangha (TRKS) was held at the Vivekananda Shardha Satabarshiki Bhawan, Dharmanagar in North Tripura on Sunday. The initiative was taken by the Tripura Rajya Karmachari Sangha (TRKS) recommended by the Rashtriya Rajya Karmachari Sangha and BMS. More than 1200 employees working in different sectors attended the conference. Few faces of the past red rebellion were also seen at the conference. A section of the participants in the TRKS conference at Dharmanagar. The President of the Tripura Rajya Karmachari Sangha, Sankar Deb, other members including Krishna Jyoti Bhattacharjee, Ranabir Bhattacharjee, Animesh Dhar and Dilip Kumar Bhowmik were also present at the first meeting district level conference of the Tripura Rajya Karmachari Sangha.